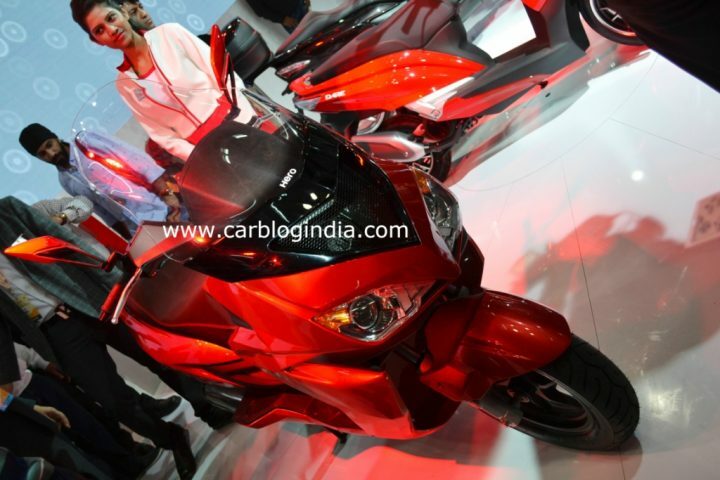 Hero Motocorp after unveiling their concepts- Splendor Pro Classic, Hero Simple E-City and Passion Pro TR at the first day of Auto Expo 2014, have further increased their offerings by adding three new scooters to their portfolio. 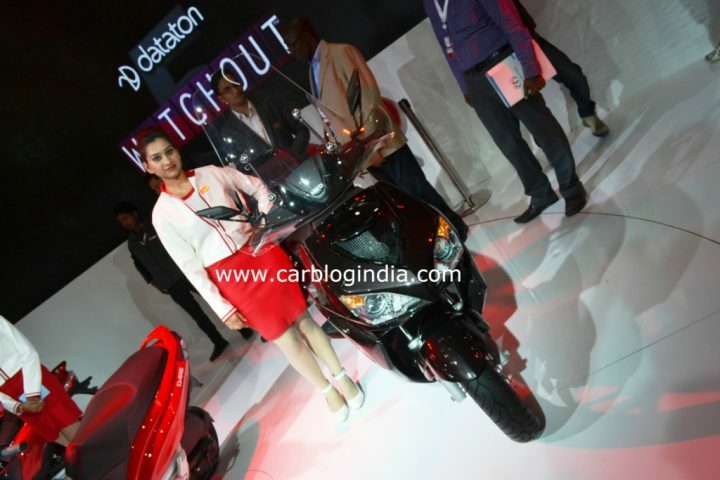 The three new scooters launched on day 2 of the expo include- Hero Zir, Hero Dare and Hero Dash. 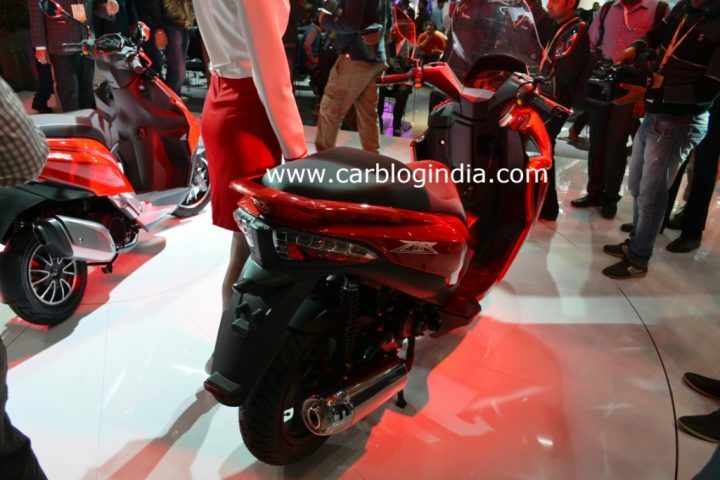 In this article, we bring you pictures right from the expo and all you need to know about the new Hero Dash, Dare And ZIR scooters from Hero MotoCorp. 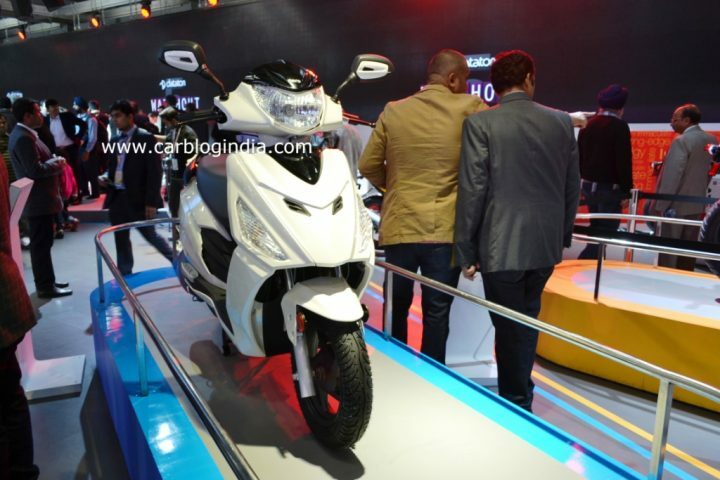 Hero Zir is a 150 cc scooter from Hero and is more powerful than the other scooters in market by Hero and competitors, which includes 110 CC and 125 CC scooters like Activa, Maestro, Access etc. The Zir comes with two different variants- one with a flat floor and other with a step through style model. 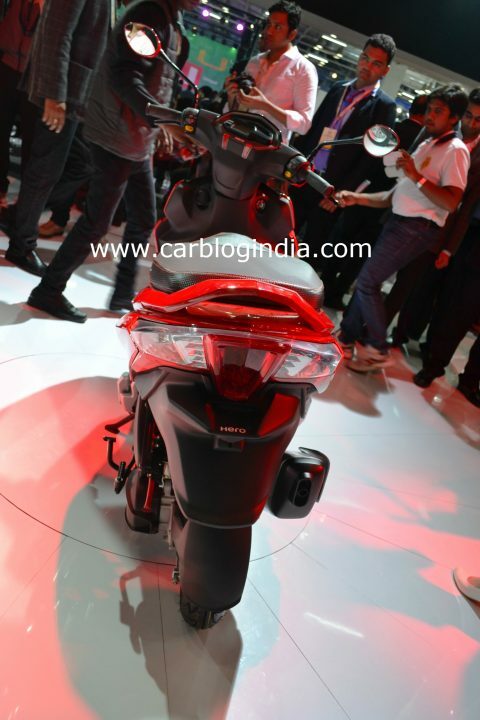 It is powered by a liquid cooled single cylinder engine which produces a peak power of 14 BHP and 12.7 Nm of torque. This engine helps the Zir to reach a top speed of p to 110 KMPH. It has a 9 litre fuel tank, which is larger than usual petrol tank found on automatic scooters with up to 5 litre capacity only. It offers combination brake or combi brake hydraulic disk brake system which ensures good braking performance for enhanced safety. It offers modern and distinct European styling which makes it look much different from other two wheelers on Indian roads. 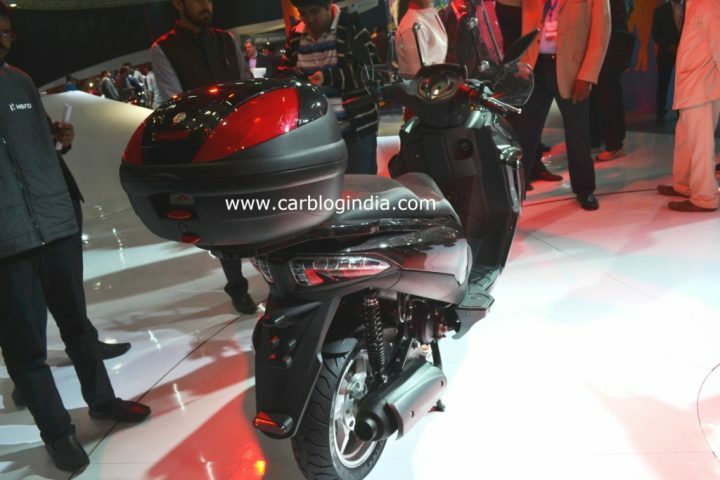 Hero Dare is a 125 CC scooter which is more powerful than maestro and comes with a 125 CC air cooled engine which produces a peak power of 9.1 BHP and peak torque of 9.5 Nm. 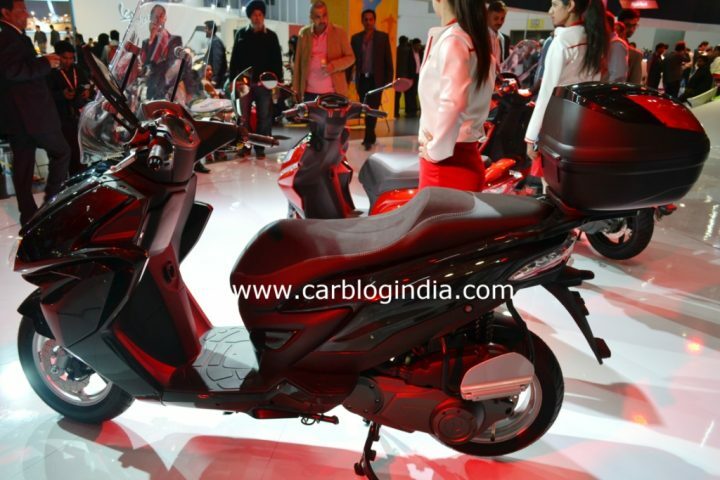 Hero Dash is a 110 CC scooter which uses the same engine as Maestro but is restyled offering. 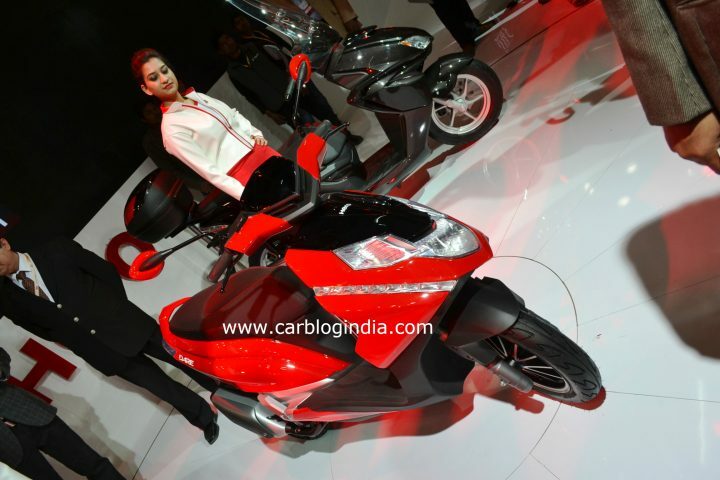 It comes with single cylinder 110 cc engine with same power rating as maestro. The prices of these scooter have not been revealed yet, but we believe that with the feature set they have, the Hero Dash, Hero Dare and Hero ZIR should be priced around Rs. 48,000, Rs. 55,000 and Rs. 80,000 respectively. Stay tuned to Car Blog India for future updates. 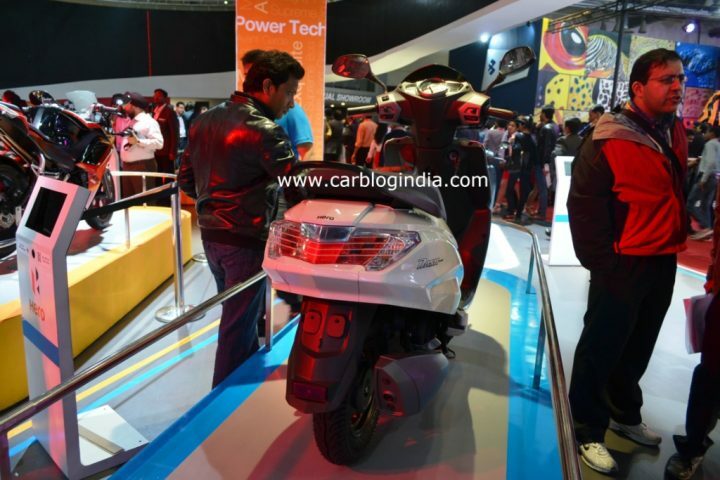 Do check out our complete Auto Expo 2014 coverage.